Welcome back! I hope you're having a relaxing weekend so far?! 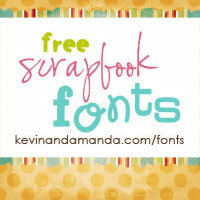 I'm popping on here to let y'all know I'm sponsoring Jo's Scrap Shack this week with an "Anything Goes" theme! 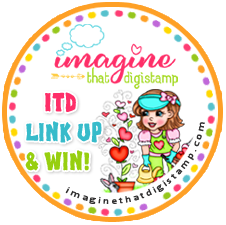 So after you link up here to our monthly challenge, pop on over there to enter for yet another chance to win a $12 coupon to Imagine That Digistamp shop!! 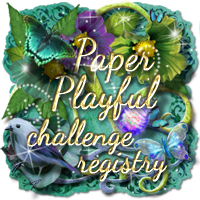 Here's a li'l cutie Deanne created to inspire you to play along! 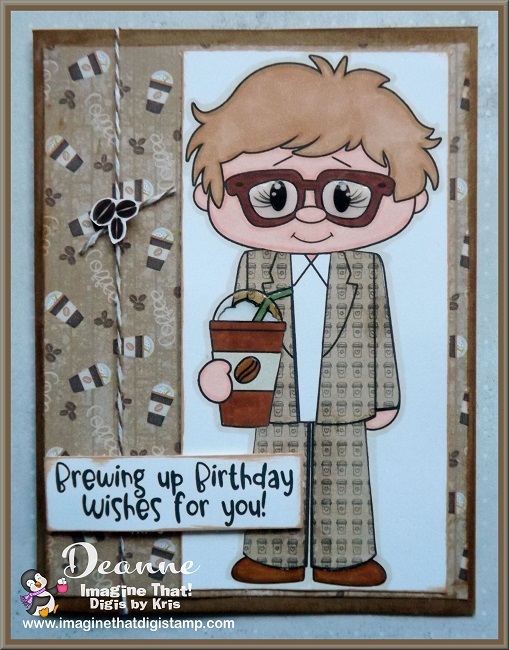 Deanne used the coffee patterned paper in this set and paper pieced his suit! 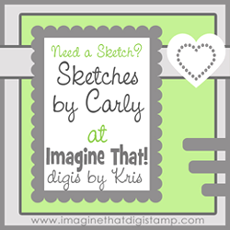 So be sure to enter your "Anything Goes" creations both here and at Jo's Scrap Shack and while you're there, check out the awesome projects Jo's Teammies created using Imagine That Digistamps! Oh my goodness this card is adorable, love her coloring!!!! 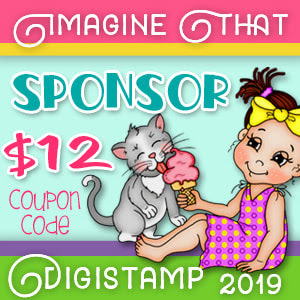 And thank you so much Kristy for sponsoring us! 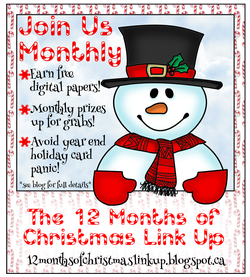 We absolutely LOVE your gorgeous images and the team has been loving coloring them up! We HEART you!